Responsibility Lesson: Make responsibility fun! 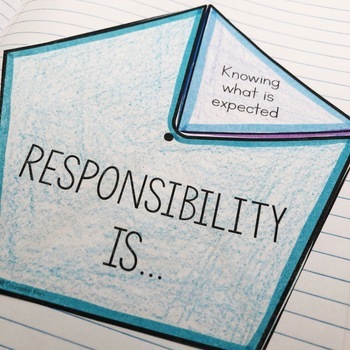 Through a simple poem, students learn about the domains of responsibility from a student like themselves. 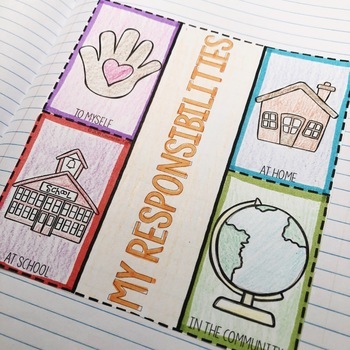 Your students will identify their own responsibilities at school, home, to themselves, and to the community too. 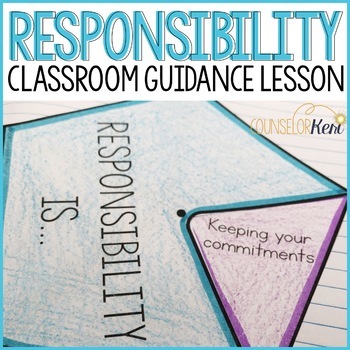 In a fun, interactive activity, students will create a skit, song, rap, or jingle about the domains of responsibility to reinforce the lesson. 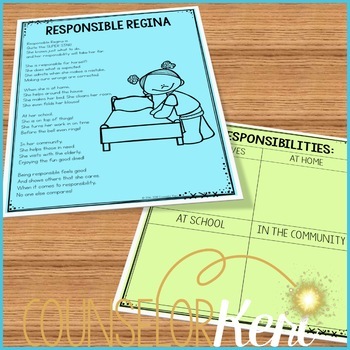 This activity works well for classroom guidance lessons or small group counseling to help kids be responsible and show responsibility at school and at home! This lesson is included in the Comprehensive Classroom Guidance Lesson Unit with Interactive Notebook. Click here to be the first to know about new resources and updates in my store! Need more responsibility activities? You'll love these!